« Poetry and light » at the Fondation de l’Hermitage in Lausanne allows us to discover the creative youthfulness of the final years of Joan Miró (1893-1983). 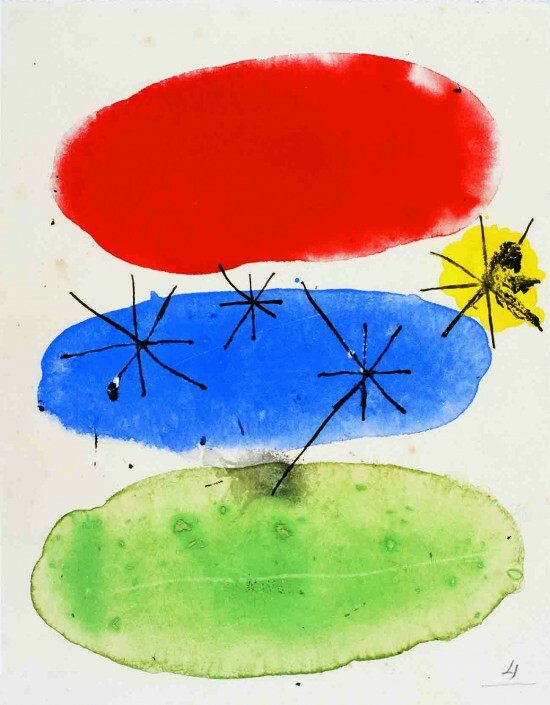 After he moved to Palma, Majorca when he was already 60, his works gained a new vibrancy and freshness that the exhibition of 80 works from the Foundation Pilar i Joan Miró reveal. 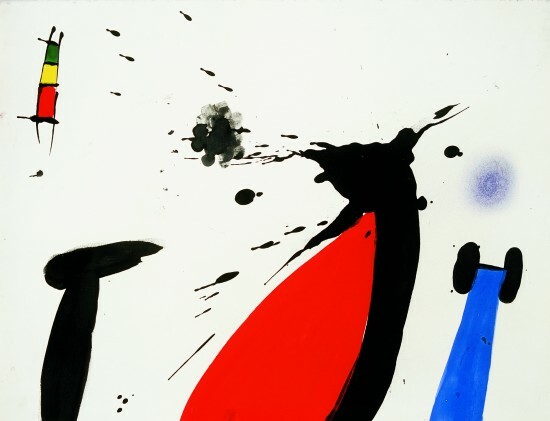 Wuhrmann then explained how Miró had been deeply impressed by American Abstract Expressionism, which sparked in him the desire to obtain: “a maximum of intensity with a minimum of means”. 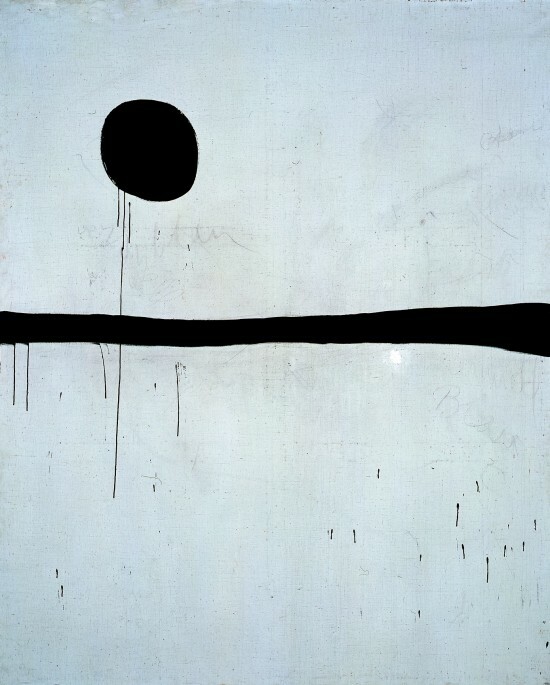 “What we have here is a Miró who really dares and who regains the spontaneity of his origins,” she added, paying a tribute to his “unbelievable concentration of energy”. Not only did his paintings expand in size, Miró also experimented with ceramics and made sculptures out of all sorts of materials, including bronze, wood and terracotta. At the opening, Elvira Cámara stared wistfully out the windows of the Hermitage, saying how “the exhibition was beautifully connected with the outside”, just like the studio in Palma. The intimacy of the Lausanne venue indeed contributes to the expansion of Miró’s “Poetry and Light”. The striking simplicity and harmony allows the spontaneous strokes and spots to dance off the canvases and the sculptures to spill their joyful presence into the rooms. A series of black and white paintings adorn the walls of the last room on the bottom floor, a genial tribute to Japanese calligraphy by Miró following the trips he made to Japan in 1966 and 1969. 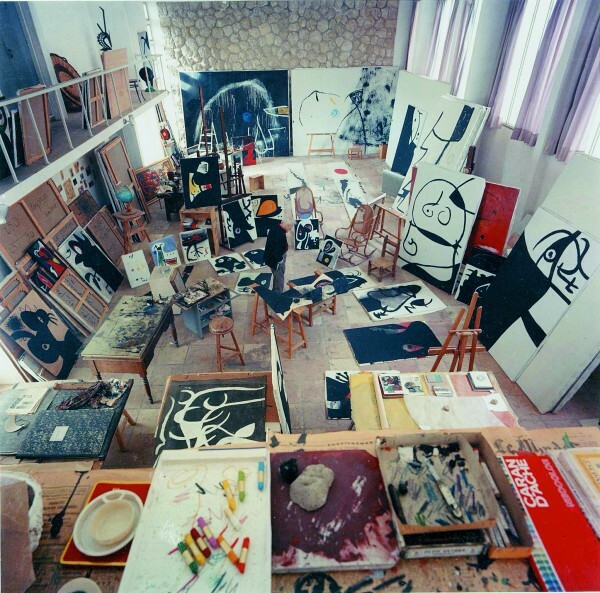 “I am 100% instinctive, like a pianist,” Miró has been quoted as saying. The works on show in Lausanne prove the playful power of his instinct.